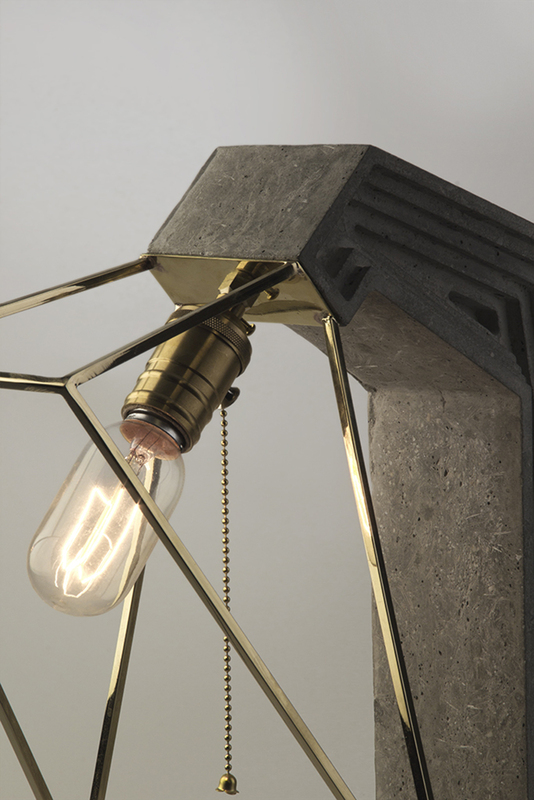 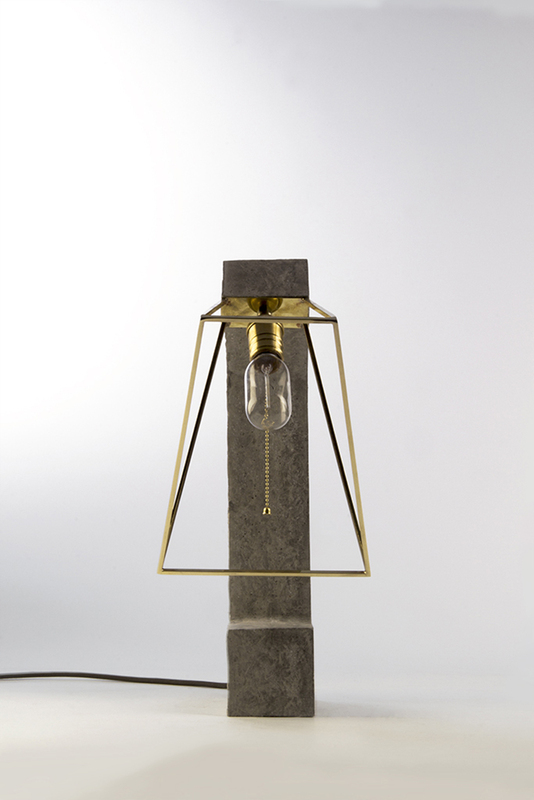 Inside Out by Daevas Design is a table lamp constructed from concrete which features a brass lampshade. 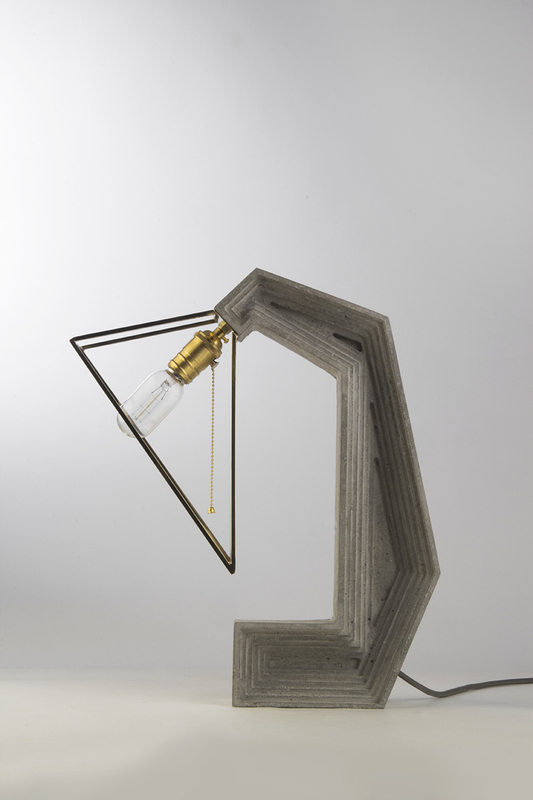 The primary goal in the design of this lamp was to highlight the variable characteristics of concrete. 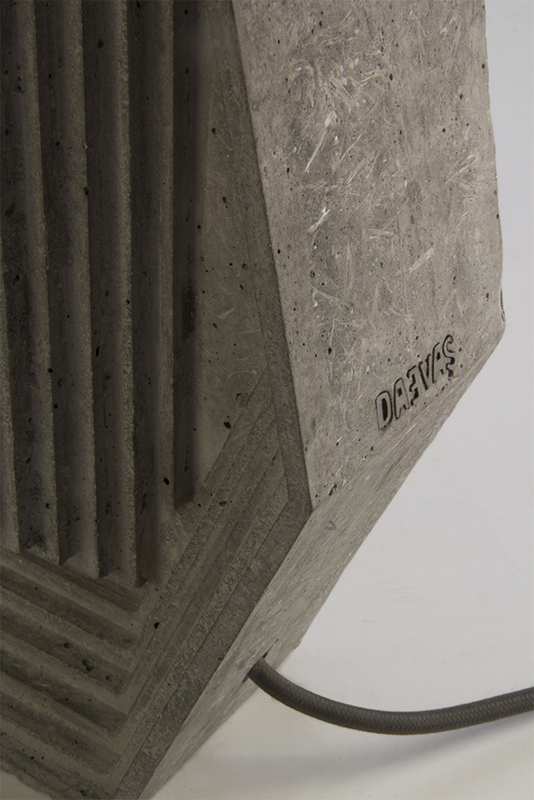 Although a heavy and rough material, it can be manipulated to create a very detailed and fine structure. 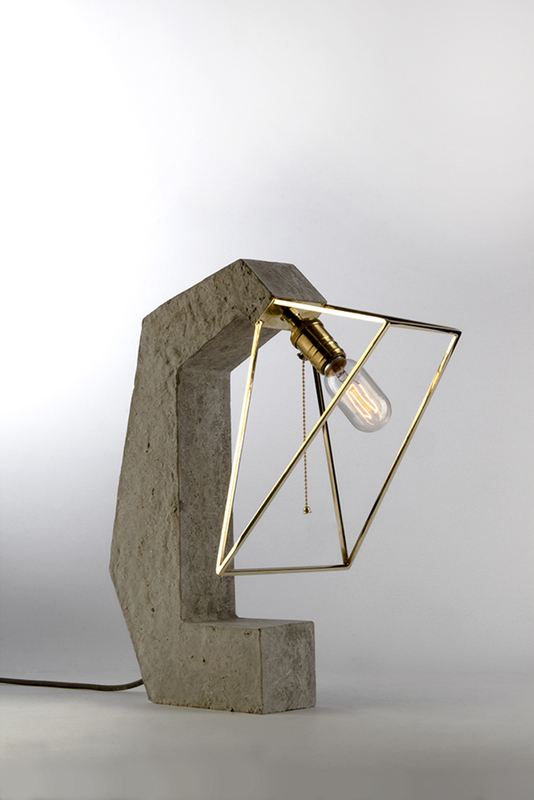 On side of the lamp features the rough surface associated with concrete which represents the ‘outside’ of the body. 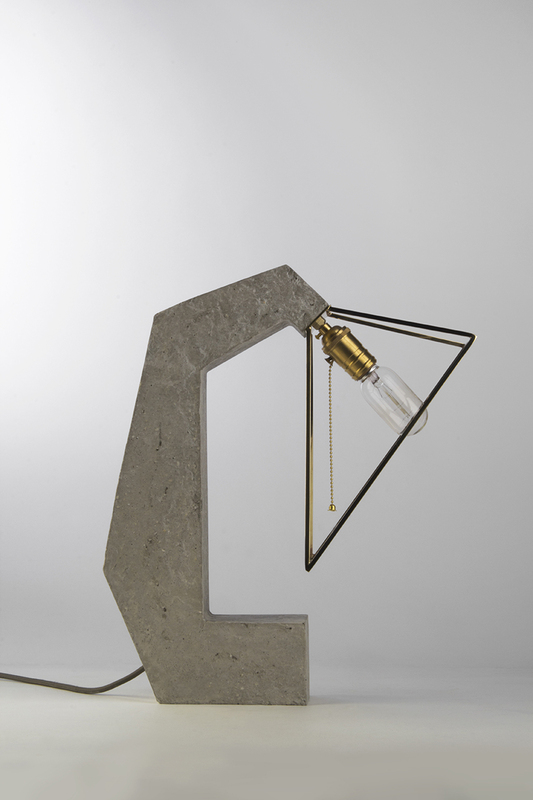 The other side has been designed with a rhythmic form based revealed in small steps going into the body of the lamp that represent its ‘inside.’ The atypical shade is composed of just a frame, portraying the armature typically used in concrete structures externally, this inversion of of materials further continues the ‘inside out motif.’ Furthermore, the form is based on Fibonacci’s spiral, the method gives the object a harmony and continuous lines which brings the piece together.